ISSN=2341-7625. 2017, Appendix figure 5. 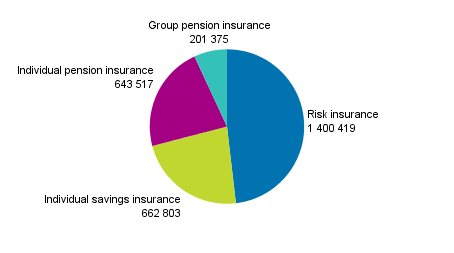 Life insurance companies’ number of insured in 2017 - class-specific data, pcs . Helsinki: Statistics Finland [referred: 22.4.2019].